Sound posts in cellos, violas and violins are cylindrical rods inside the instrument body located below the treble side of the bridge and held in place by the pressure of the instrument. It supports the structure, specifically the top of the instrument under string pressure. It sends vibrations from the violin face to the back, and its effects on the vibrational modes of the plates influence the instrument’s tone. 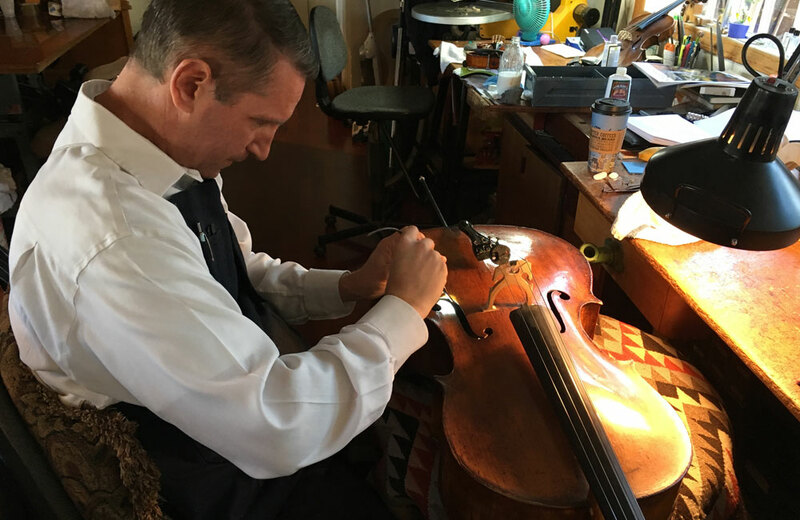 Moving and positioning of the sound post requires experience, sensitivity of the hand, as well as the knowledge and trained ear of an expert violinmaker. The position of the sound post in relation to the bridge has a major role in the tonal quality of the instrument. Slight alterations by even less than a millimeter will have a noticeable effect. Generally speaking, adjusting the sound post by moving it upwards, towards the fingerboard, can bring about a gain in volume and intensity to the sound. Repositioning the sound post downwards, towards the tailpiece, can make for a richer, more open-mouthed sound. Moving the sound post to the left or right is more difficult because the post will need to be altered lengthwise to fit, as the top and bottom plates are slightly outwardly convex. It is necessary that the sound post fits snugly between the plates to obtain the desired sound, held in place by friction, as there should be no gaps between the wood of the sound post and the two plates. The sound post is positioned using an S-shape setter tool that is filed at its pointed end and left rough for special gripping. 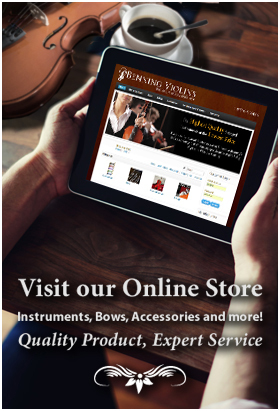 An experienced violinmaker should perform positioning or adjusting of the sound post. The sound of violins, violas and cellos can be greatly undermined if done incorrectly.